Kauai Dreams Realty License #RB-14203, is a real estate company that specializes in representing Kauai buyers and sellers in the sale of real property. 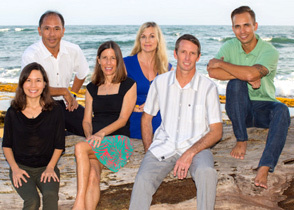 Principal Broker and Owner Julie Black has over 30 years of Kauai real estate experience. In July of 1997 Julie Black started Kauai Dreams Realty and currently has 7 other licensed agents with the company. Kauai Dreams Realty and Julie Black have been voted consistently as “Best of Kauai real estate company/agent” for numerous of years. Kauai Dreams Realty is able to provide knowledge and expertise in today’s Kauai real estate market. We are ready to put our best to work! Our office is located in the historic Seto Building on Kuhio Highway in old Kapaa town. We service the entire island of Kauai. Please feel free to stop by, our office hours are Monday to Friday 9:00 am to 4:00 pm. For more information, please call us at (808) 822-7774 or e-mail us at kdrteam1@gmail.com. Feel free to also contact the agent of your choice from our Team page. Don’t forget to check out our company’s Whats My Home Worth on the upper right of our home page and also our Blog to be updated on the latest Kauai Real Estate. It’s free, we’ll never sell your info, and you can opt-out at any time.